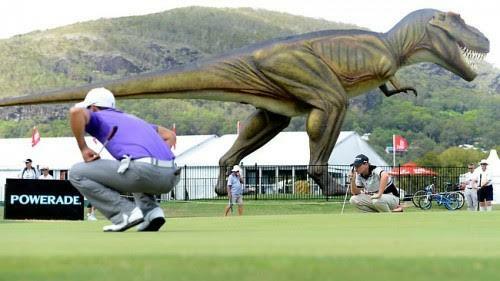 I get some emails from other gilagolfers sometimes describing to me some really out of this world sort of courses as well. There is this place at Queensland Sunshine Coast (I remember driving around there once!) 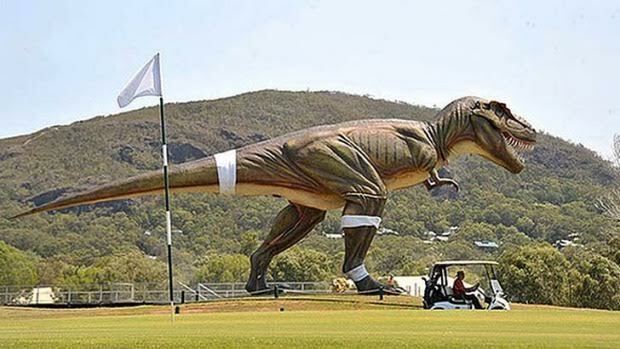 called Hyatt Regency (Or Coolum Golf Resort), where you get to play under the shadow of a T-Rex. By no means this is something new, as even closer to home, Mines Resort has giant Tigers and Giraffes as well. 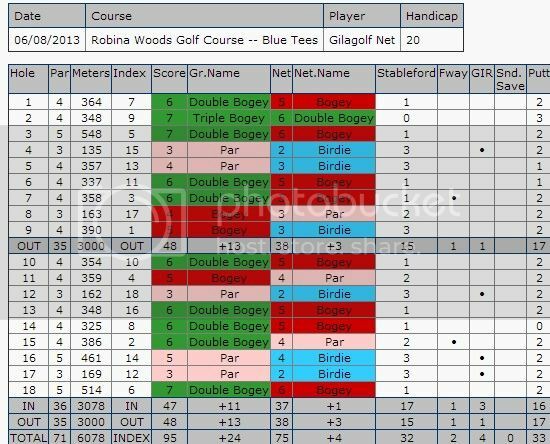 On top of that, one of the Gilagolfers offered his take on Robina Woods, a course reviewed while I was on a family trip in Brisbane a couple of years back. Thanks, Anthony! I’ll try 2 photos for now and see what happens. If you can recall since you were here last one of the photos shows the practice putting green in the foreground. In the background you can see the fairways of the 18th green to your left and its elevated tee some 500+ metres away. And to the right just behind the practice green is the 1st tee. Unfortunately I’m not much of photographer, the 1st teeing ground is blocked by the bushes. The golfer wearing a blue jumper standing next to the golf bags is a member there and a former ‘surfing’ champ back in the 70’s. A local identity here in the Gold Coast area. And the guy wearing a white hat practicing his putt is from the UK – a cricket coach for one of the county cricket teams there. He was second only to Shane Warne when the two were in the academy in their junior years. I can’t recall the county sorry. The other photo was taken on the 2nd hole. 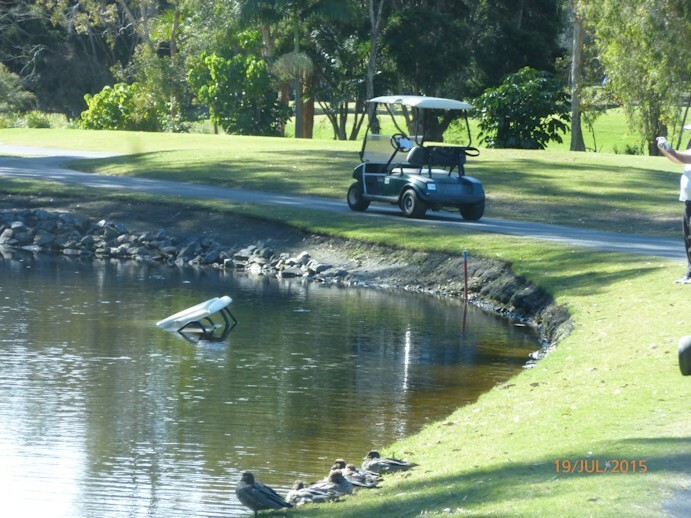 While we were walking towards the fairway, we saw this motor cart in the pond submerged. So I took a photo of it. Apparently according to one of the guys in the pro-shop, a young kid have driven it to the water. Ouch! Cost $8,000 to replace! Double ouch! Anyhow we have had a great time but Robina was the winner. 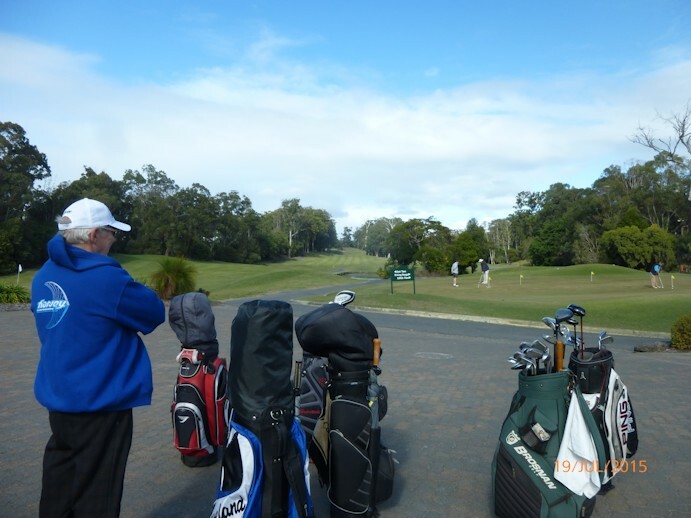 The green was so fast at that time because the day before, Robina had their club championship. So the speed of the green and pin placement was to that standard. If only we knew.